Lilián Sánchez is a first-generation college student from Des Moines, Iowa, graduating in May 2018 with majors in ethics and public policy, and political science. Sánchez has served at the University of Iowa in various leadership positions. 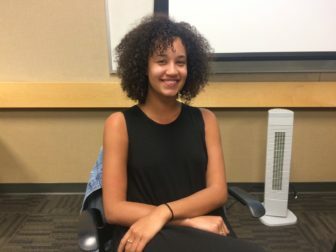 In April 2017, she was elected the vice president of the University of Iowa Student Government, the first woman of color to serve as vice president for the organization. 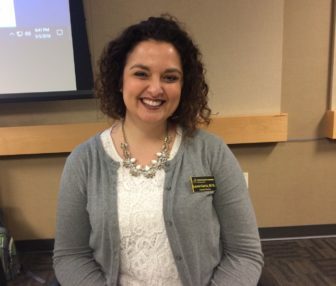 Through the position, she has continued to advocate for first-generation college students and students with marginalized identities as she began doing after her first year at the university as an Iowa Edge Peer Leader. Most recently, Amnesty International selected Sánchez for the Ladis Kristof Memorial Fellowship; through a 10-week residency program, she will work to advance human rights with a global team of advocates. 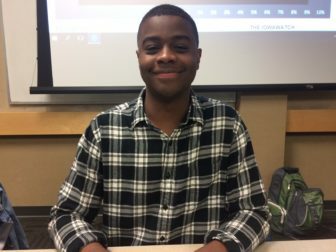 Mario Williams is a University of Iowa senior from Chicago, double majoring in journalism and mass communication and marketing. He also is pursuing a certificate in entrepreneurial management. 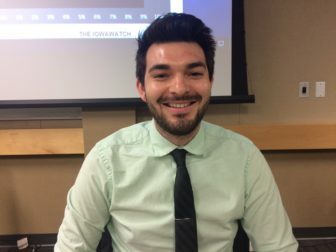 During his time at the University of Iowa, Williams has been a part of The Daily Iowan and serves as a tour guide and for the admissions program. Williams has worked closely during the recruitment process with prospective students and their families who visit campus as well as those that don’t get a chance to visit campus, traveling to Chicago to recruit. He says he passionate about recruiting the best and brightest students to be a part of the Hawkeye family. Mario will continue his academic career at the University of Iowa for one more year. Kimberly Chexnayder is a native of Kansas City, Missouri, graduating in May 2018 with honors with a major in journalism and mass communication, with a certificate in critical cultural competence. While at Iowa, Chexnayder has been involved with various student organizations and offices, a few of which include Chi Omega sorority, University of Iowa Student Government, the Admissions Office, the Presidential Charter on Diversity, The Panhellenic Executive Council and as a member of the 2017 Homecoming Royalty. Also while a student, Chexnayder was a congressional intern for the Congressional Black Caucus Foundation and U.S. Rep. Emanuel Cleaver, D-Missouri, in Washington, D.C., and was a communications and community engagement intern with the Kansas City Public Schools, with a emphasis in community outreach and events. Chexnayder has served as a student recruiting assistant and on-air host for Hawkeye Football. Following graduation, Kimberly is to start her career working with the National Football League in New York City. Gerardo “Geo” Guerrero-Segura was born in Guanajuato, Mexico, and immigrated to the United States at the age of 5 with his parents, four sisters, and two brothers. Growing up in Sioux City, Iowa, Guerrero-Segura and his family faced many of the stresses that came with being an immigrant family. Now, he is the first in his family to advance his education at the University of Iowa. He is a May 2018 graduate, earning a bacehlor of science in nursing with plans to work as a critical care nurse at University of Iowa Hospitals and Clinics. He has also been accepted into the psychiatric/mental health nurse practitioner graduate program at the University of Iowa College of Nursing, starting this fall, with plans to work toward an eventual doctorate of nursing practice. Lauren Garcia is a native of Burlington, Iowa, and earned her bachelor of arts degree in business and Spanish from Coe College in 2010. She earned her masters of public administration with an emphasis in public personnel management from Upper Iowa University. Garcia says she discovered her passion in higher education, particularly working with underrepresented students across college campuses. She has served as the assistant director of the Center for Diversity and Enrichment at the University of Iowa since 2016. 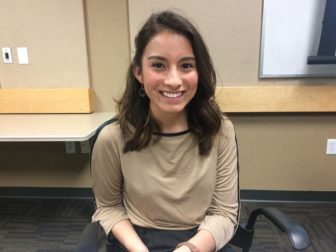 She coordinates the Iowa Edge program, which is a pre-orientation program for incoming first-generation and underrepresented students on campus. Before that, Garcia spent six years working in admissions at Mount Mercy University. She also is the chairwoman for the Inclusion, Access, and Success Committee as part of the Iowa Association for College Admission Counseling. Throughout her eight years of higher education experience in admissions, Garcia says she is passionate about helping students achieve their goals of attending and graduating from college. The University of Iowa has services and programming to help African American and Latino students feel welcome but a lot of those students don’t know about them, students at a Thursday night IowaWatch/KCRG-TV9 public forum on diversity at the university said. Meantime, these students struggle to exist in a predominantly white campus, African American and Latino students at the forum said.